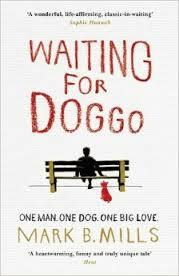 My enormous thanks to Frances Gough at Headline and Bookbridgr for my review copy of ‘Waiting for Doggo’ by Mark B.Mills. It is published by Headline Review on 13th August 2015. Thirty year old Daniel is surprised to find a ‘Dear John’ letter from his partner of four years, Clara, telling him ‘It’s over between us’. Even more worryingly, she has left behind possibly the ugliest dog in the world, Doggo. Out of work and lumbered with a Jennifer Aniston obsessed dog, something needs to change for Dan. I absolutely loved ‘Waiting for Doggo’. It’s a quick read with a story that romps along, but that doesn’t mean it’s not really well written and stylish. There’s a perfect flow to the writing, with a great balance of description and direct speech that makes it a vibrant read. The situations are absolutely credible, recognisable and life like. The humour is brilliant. Occasionally it is obvious, occasionally understated so that the reader is entirely caught up in it. This is what makes the contrasts in the scenarios even more effective and I found I had tears in my eyes towards the end, even though I’d laughed all the way through. Characters are amazingly well depicted. Doggo, (and yes he does have a twitter account @WAITINGFORDOGGO), is masterful. He’s so lifelike that it seems impossible a non-speaking character can have such presence in a narrative. What I found so wonderful about ‘Waiting for Doggo’ was that although it is relatively short, it packs a huge punch with themes of love and loyalty, how we treat our elderly, social conventions, the sense of identity and office politics. It really is a microcosm of life. There is potential at the end of the story for a continuation of Dan and Doggo’s adventures and I just hope Mark B. Mills is already writing the next book because I feel bereft at having finished this one. It thoroughly deserves all the pre-publication praise it has received. I can’t recommend it highly enough. Top voices in historical fiction deliver an intensely moving collection of short stories about loss, longing, and hope in the aftermath of World War I —featuring bestselling authors such as Hazel Gaynor, Jennifer Robson, Beatriz Williams, and Lauren Willig and edited by Heather Webb. ‘The Pact‘ by Christian Liberty Marshall is an exciting new series novel in eight episodes and is published twice a week on Mondays and Thursdays from 3rd August 2015, price £1.79 each. It would appeal to fans of Robert Ludlum’s ‘The Bourne Identity’, John Le Carre’s ‘The Spy Who Came In From The Cold’ and Daniel Silva’s ‘The Unlikely Spy’ and ‘Homeland’. On a flight from New York to London, six ambitious twenty-somethings are each given an electronic tablet. Suddenly they are presented with all their personal statistics and a cool, female voice asks them to join The Nations’ Bureau of Security (NBS) to make the world a better place. Eliska, Nick, Leah, Felicity, Paul and Jian are all connected in some way to The Syndicate, an international crime organization aimed at profiteering by keeping countries at war with one another. Their worlds collide when they are chosen and trained for one purpose: bringing The Syndicate down. Christian Liberty Marshall is an American writer who is now based in Austria. 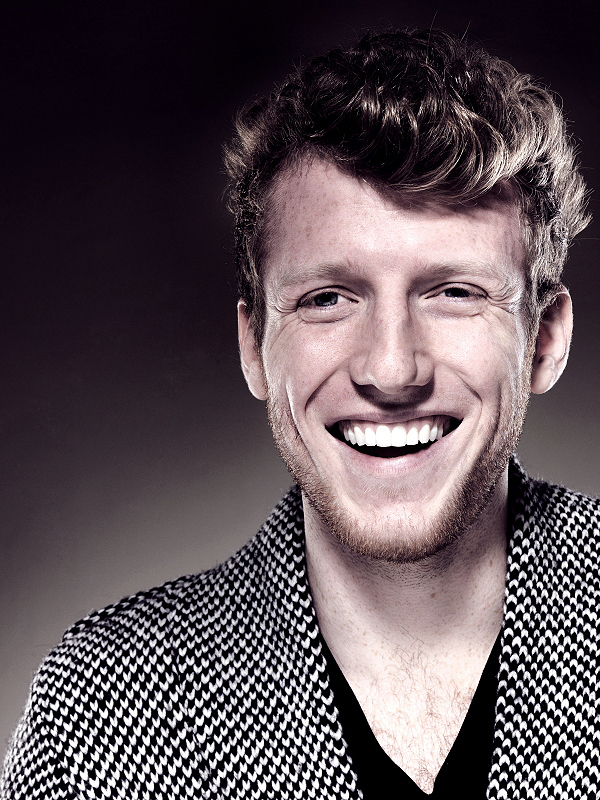 He’s a musician with degrees from Vanderbilt University and University of Music and Performing Arts Graz. When he isn’t performing as a violist, he can be found teaching at the Popakademie Baden-Württemberg, writing educational material for children, or translating German literature. Before I began working on The Pact, I came up with a romantic daily schedule highlighting both my creativity and desire to maintain a healthy work/life balance. This short-lived dream had me waking up fully rested and enjoying a leisurely breakfast before turning on my laptop to “pen” the next several pages of the current episode. Hours would pass as witty dialogue and thrilling plot twists appeared on the screen word perfect. Then I’d be interrupted (on schedule) by a friend asking me to grab lunch in the city, after which I’d run into another friend and—of course—have time for coffee. I would then be behind schedule, but that’d be OK, because the morning had been so productive. Racing home, I’d grab my swimsuit and head to the pool for my daily exercise. By the time I would arrive home in the late afternoon, I’d be ready to sit down for another hour and finish dictating whatever my muse had whispered to me while I’d been working on my Auerbach. Though I’d love to tell you this dream came true twenty times a month, I can’t. And that’s because there is one uncontrollable factor in a writer’s work/life balance: the writing. Anne Lamott, author of Bird by Bird, refers to this as “the fly in the ointment,” and I couldn’t agree more. The best thing a writer can do is exercise the discipline needed to sit down, quiet his/her mind, and let the words come. And my hobbies, when not given the respect they deserve, tend to serve as a distraction and not as a reward, leaving me to stare in frustration at blank pages. So how does one achieve the perfect work/life balance? I think it’s safe to say there’s no single right answer, but I can tell you what I find to be helpful for me. My first step is to eliminate the feeling of unfinished work, because “unfinished work” has the power to gnaw at my mind 24/7, making virtually everything unenjoyable. And the easiest way to eliminate “unfinished work” is to give yourself short assignments, to avoid biting off more than you can chew. (Another piece of wisdom gleaned from Anne Lamott.) The easiest way for me to do this is with numbers. Sometimes it’s 350 words. Other times it’s three pages. And even sometimes it’s five minutes. Because setting a goal and reaching it is the easiest way to build confidence as a writer, clean your conscience, and—most importantly—remain sane. Then, once I’ve done my work and have reached my goal, I treat my hobby as a reward. And I give it the respect it deserves by enjoying it fully. I don’t cut corners and say “just half an hour this time,” or “I spent an hour on this yesterday, I can’t afford losing so much time today,” or “No, it’s OK, I need to write. You guys go and have fun without me.” By saying such things, I often end up cranky, alone, and writing sentences with about as much life as a wilted salad. Finally, when it’s time to return to the craft of writing, I give myself another short assignment, diving in with a fresh perspective from a rested mind. While I can’t say this plan is foolproof, I can say it makes me a much happier and healthier writer, inside and out. And I think my characters and hobbies would agree. ‘The Pact’ is Christian’s first serial novel and he is available for interview by contacting Sophie Goodfellow on sophie@edpr.co.uk or Hayley Steed on hayley@edpr.co.uk. You can also request review copies and further information. When I was asked by a man who has toured the world playing over 4000 gigs and touring with Neil Diamond in 2015, if I wanted to read his book in return for an honest review I was sceptical. It would be a boring monologue of ‘I’m a famous musician and this is why I’m so great’. But Bill Cinque sent me a sample and I was hooked. Nothing could be further from the truth (although if I were his wife, I wouldn’t let him listen to music in the car!). ‘The Amazing Adventures of a Marginally Successful Musician’ shows that Bill Cinque is an entertainer in more ways than one. This is a really funny and interesting read. Indeed, Bill is often quite self deprecating which makes reading his book even more endearing. His story is based on his life as a musician because he ‘figured no one was interested in a book called ‘Why Jennifer Anniston Won’t Return My calls’ and he thought he should write what he knows. It’s easy to dip in and out of this book as the chapters are succinct and full of what is, albeit often tongue in cheek in presentation, very good advice for aspiring musicians. Most chapters have a pithy final ‘BOTTOM LINE’ in which Bill might reinforce (or totally undermine) what he’s just said. I found myself laughing aloud frequently. A flavour of what you might expect is a comment he makes about Brian the banjo player; ‘Now we can’t afford to get rid of him. I’m taking my cue from Brian. I hope my belly dancing is as readily accepted as his banjo playing..’ There are absorbing autobiographical elements too that give a real insight into Bill’s personality. 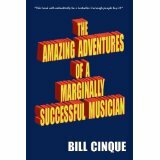 Reading ‘The Amazing Adventures of a Marginally Successful Musician’ has made me wish I had Bill Cinque as a friend. Bill covers every element of what is needed to succeed in the music business from the different instruments to singers, flyers, producers, and ‘Ten Reasons Your Girlfriend Shouldn’t Come to the Gig’ and I think anyone who’s ever dreamed of being rich and famous could learn from Bill’s sagacity – as could thousands of teenagers practising and sending their parents mad in garages all over the world. Whilst the majority of the book is genuinely funny and entertaining, a couple of chapters also have a more serious tone, particularly those dealing with alcohol or when Bill is describing his own emotions and feelings after gigs. I’m not a lover of autobiographical writing, and I’m not especially interested in the music business, but I thoroughly enjoyed this book. I didn’t read it all in one go and think I enjoyed it more by reading a few chapters at a time. 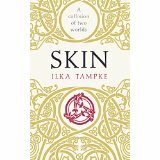 I am hugely indebted to http://www.goodreads.com for my copy of ‘Skin’ by Ilka Tampke. It is published by Hodder and Stoughton on August 6th 2015. In AD 28 Ailia is left as a foundling on the doorstep of the Tribequeen’s kitchen. Taken in by Cookmother, Ailia can never truly be part of society because she does not know the skin to which she belongs. It is skin that holds this ancient world together. As she grows up, the Roman Empire threatens her people more and more until Ailia gradually learns her destiny. I don’t particularly like books with an ancient history setting. Nor do I usually like books with a fantasy or mystical element. So why then, given that it has both elements, did I think Ilka Tampke’s novel ‘Skin’ was amazing? The writing in ‘Skin’ is enthralling. It mesmerises the reader with a hypnotic rhythm to the narrative so that the songs, events and rituals become completely believable, adding layer upon layer to the textures of the story. 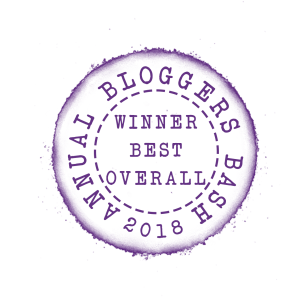 Descriptions seemed to tingle on my skin as I read and I was drawn into the narrative in the same way Ailia is drawn into the worlds she encounters. I wanted to quote an example, but not a word is wasted and any quotation would spoil the plot and the enjoyment of other readers. It is as if the novel is a natural part of the traditions it describes. I loved the tenets that began each chapter, hinting what might happen. The plot is also so skilfully constructed that, without giving anything away, ‘Skin’ did not end as I anticipated. I also found it both heartbreaking and uplifting. The characters, particularly of Ailia, Cookmother and Fraid are perfectly drawn. This is a novel with strong, determined women at its centre regardless of their place in society. 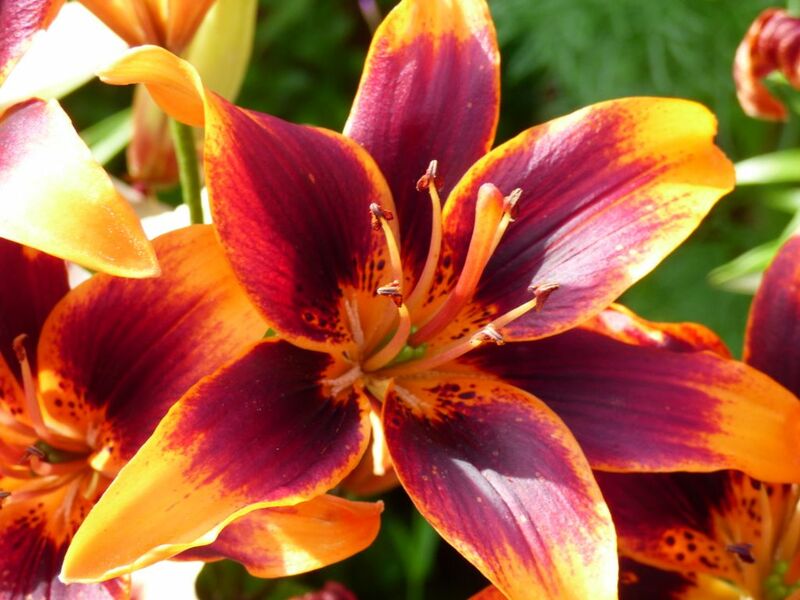 I think it is the quality of dialogue which helps to create the naturalness of the characters. Speech feels absolutely right for the setting and the era. Themes in ‘Skin’ would have been relevant to the well researched time in which it is set, but still have total resonance today. Love, deception, hate, revenge, the need to belong, family and learning make ‘Skin’ such a captivating read. I loved ‘Skin’ by Ilka Tamke. I think it would be perfect reading for anyone who has ever questioned their own position in the world, for all young women and for everyone who simply enjoys a brilliantly written story. 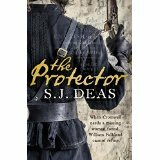 I am immensely grateful to Frances Gough at Headline for a review copy of ‘The Protector’ by S J Deas in return for an honest opinion. It was published in hardback on 30th July 2015. William Falkland is desperate to find his wife and children whom he has lost following the Civil War in 1640s England. Creator of the New Model Army, Oliver Cromwell, however, has other ideas for him and sets William the task of finding John Milton’s missing sister Anne. So begins an adventure of treachery, danger and frustrations. I was captivated from the first sentence of this novel. It is completely accessible but at the same time totally authentic in its portrayal of England in 1646. The dialogue conveys the period so realistically but still feels entirely natural to the modern ear. What works so well is the attention to detail so that all the senses are treated to a wide range of descriptions, placing the reader at the scene in an immersive experience. It is so easy to visualise because of the skilful writing and I could easily see ‘The Protector’ as a film or television series. The first person narrative makes the writing somehow intimate, as if you’re reading William Falkland’s private diary. This makes his character so interesting and lifelike. It is as if he’s a microcosm of the era, wrestling with his conscience, sometimes being brutal and occasionally tender. Whilst William is created by Stephen Deas, other characters are historical and the quality of research to create a seamless balance between fact and fiction is outstanding. It’s one of the elements that make this such a brilliant read. S J Deas illustrates a passion for, and perfect knowledge about, the era. I had no idea, before reading this, that Milton had a missing sister. However, where ‘The Protector’ really triumphs, is in the storytelling itself. The plot is rapid and exhilarating to read with twists and subtle hints so that this is a hugely satisfying thriller as well as an historical novel. Although this is the second novel, after ‘The Royalist’, to feature William Falkland, it is a perfect stand alone read. I haven’t read the first but I will do as soon as I can. I found ‘The Protector’ exciting, authentic and totally absorbing. A brilliant must read.